I spent my weekend back home in Minnesota and it was cold! As you can tell from the pictures, there was also lots of snow. When I packed for this trip, I made sure to pack lots of layers, including this fur vest, to combat the weather. 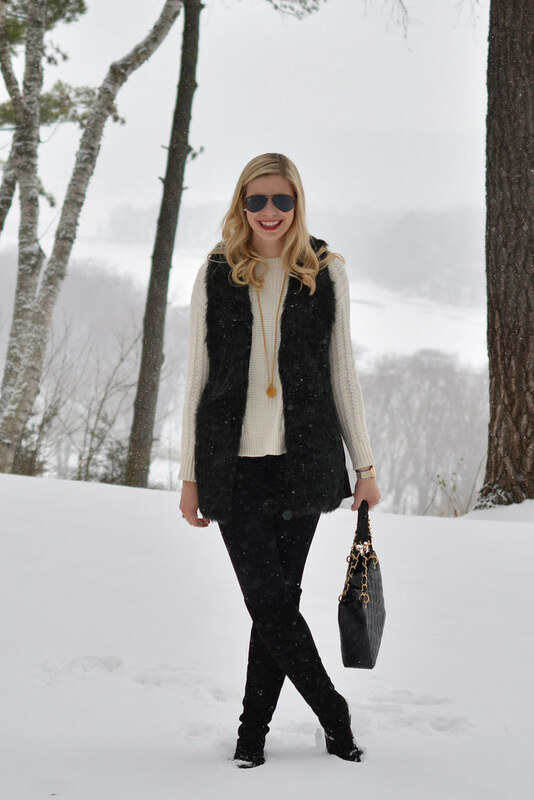 I had been looking for a faux fur vest for a long time and this one is so good. Unlike other ones I looked at, this one is high quality and a great price. I have been pairing it with everything from jeans to dresses.